What is a discovery service certificate? *The discovery service certificate cannot be replaced by your own certificate. *The certificates for the discovery service have an expiry date. However, this is not checked. The certificate thus does not need to be renewed. 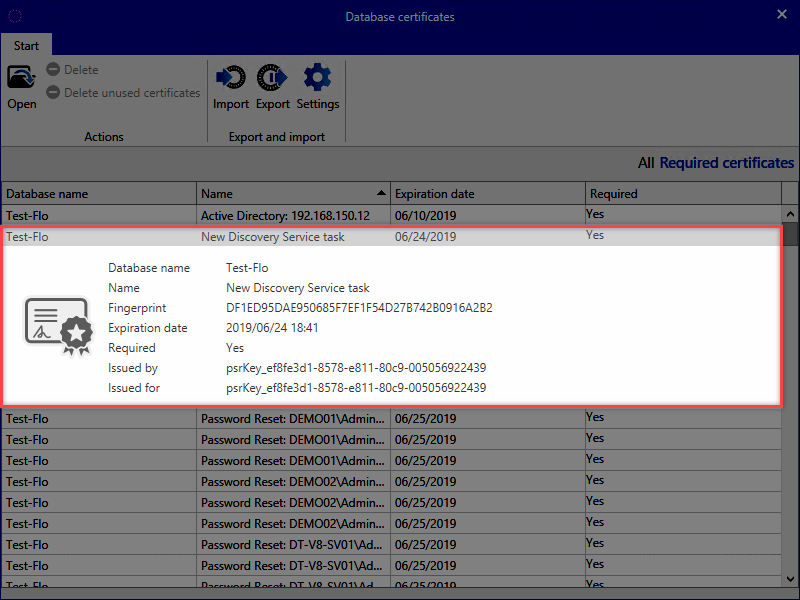 !If the database is being moved to another server, it is essential that the discovery service certificate is also transferred!